/ \ We're hiring. Now. | | | to C and SQL back-end "under the hood" hairy stuff. 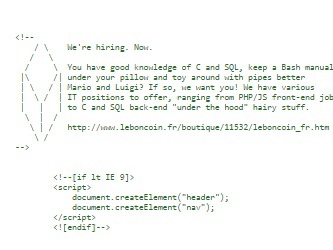 Nous aussi on recrute... et en particulier un stagiaire développeur web.